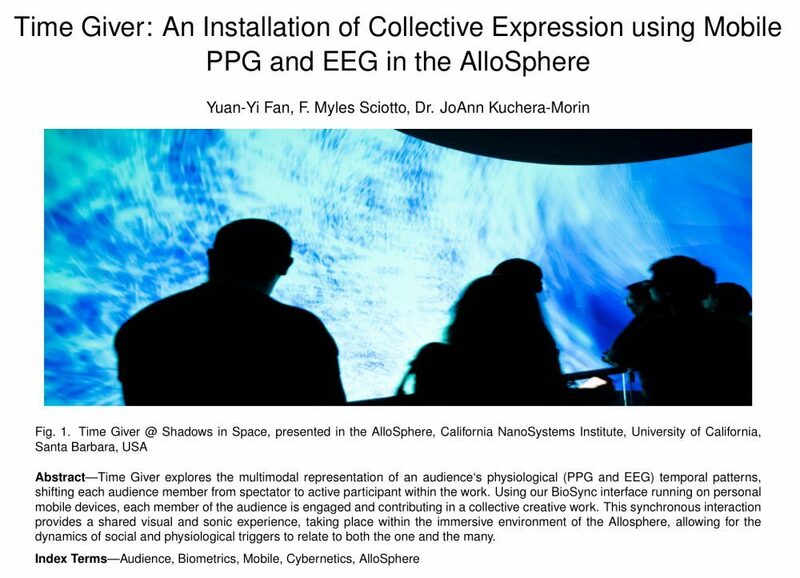 Time Giver explores the multimodal representation of an audience‘s physiological (PPG and EEG) temporal patterns, shifting each audience member from spectator to active participant within the work. Using our BioSync interface running on personal mobile devices, each member of the audience is engaged and contributing in a collective creative work. This synchronous interaction provides a shared visual and sonic experience, taking place within the immersive environment of the Allosphere, allowing for the dynamics of social and physiological triggers to relate to both the one and the many.